4. 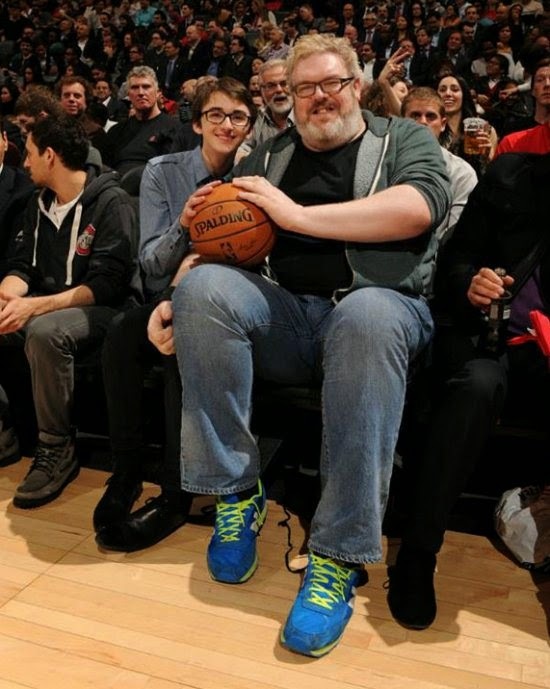 Given that all we hear from the mouth of Kristian Nairn’s character Hodor is “Hodor” it’s great to see the actor in a completely different environment at a Basketball game with his on screen and off friend Isaac Hempstead-Wright who plays Brandon Stark in the show. 5. There’s very little love shared between on screen siblings Tyrion Lannister and Cersei Baratheon as portrayed by Peter Dinklage and Lena Headey so it’s great to see the two of them together smiling. At least they aren’t at each others throats off set too! 6. There’s certainly a trend for selfies with the Game of Thrones cast and this particularly humorous one unites several of the cast that have never appeared on screen together. 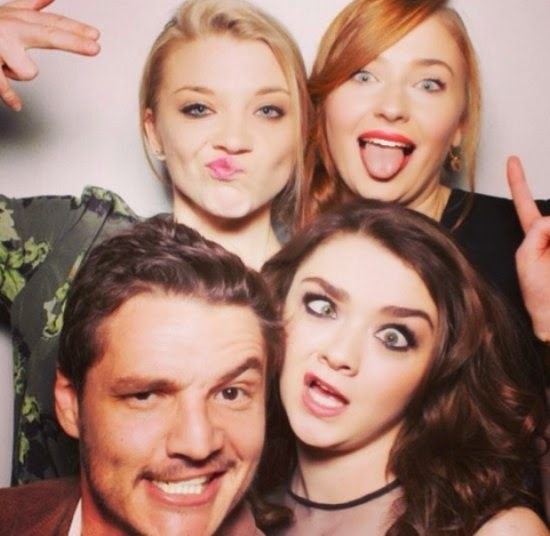 With Sophie Turner (Sansa Stark), Maisie Williams (Arya Stark), Natalie Dormer (Margaery Tyrell) and Pedro Pascal (Oberyn Martell). New Inbetweeners 2 teaser trailer is ace! Batman TV show Gotham debut trailer!